(FILE) May 12, 2014 file photo, actress and singer Rita Moreno attends People en Espanol's "50 Most Beautiful" Issue Celebration in New York. 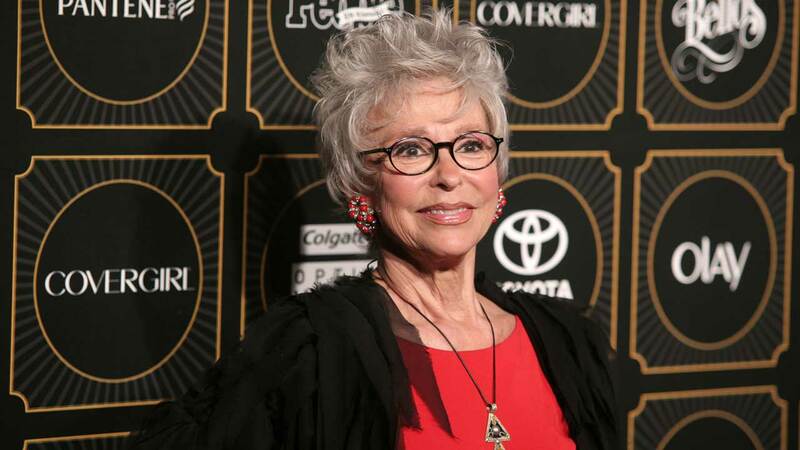 CHICAGO -- Renowned actress and singer Rita Moreno will be the commencement speaker at Chicago's Northeastern Illinois University. The school says Moreno will speak at ceremonies Monday afternoon in downtown Chicago. The 83-year-old is among of elite performers who have won each of the industry's top awards - an Oscar, an Emmy, a Tony, a Golden Globe and a Grammy. Moreno will be awarded a Northeastern Illinois University honorary doctorate degree. The native of Puerto Rico is best known for "West Side Story," ''The King and I" and "Singin' in the Rain."